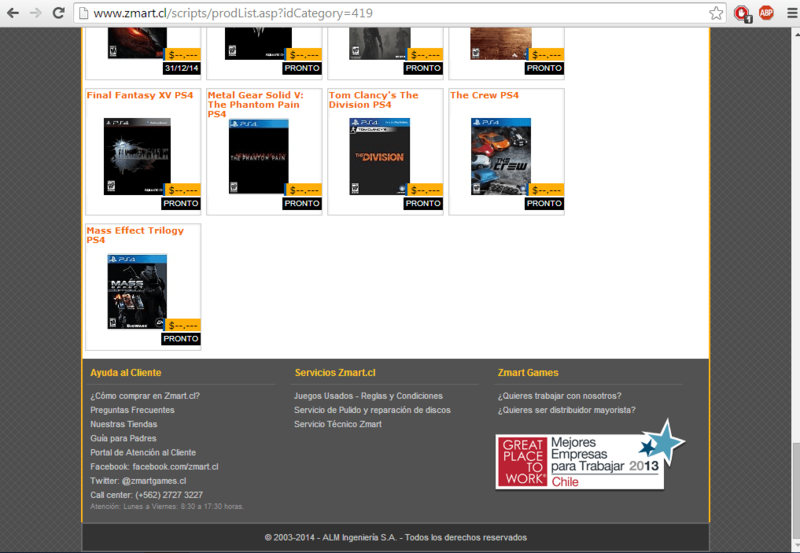 The Mass Effect news train keeps on-a-rollin’, with news breaking today via NeoGAF that South American retailer Zmart.cl is currently listing PS4 and Xbox One versions of the original trilogy as pre-orders. There is no release date or price information to be found (surprise surprise), but the online store has cover images for both versions of the pack – although it’s highly doubtful this is finalised cover art if the unclickable place-holders are to be believed. Of course, it’s most likely that the Chilean retailer is simply predicting future trends, and it’s also worth mentioning that they don’t have the most reliable of reputations as it is. 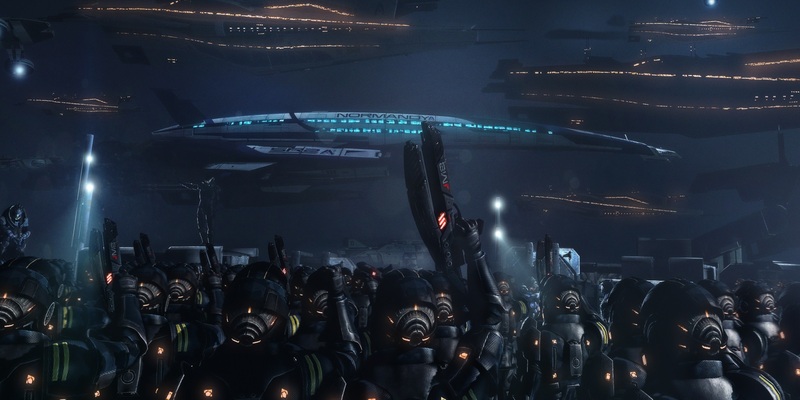 Yes, we’re grasping at straws here people, but what’s a Mass Effect fan to do? It wasn’t too much of an assumption to realize that, with Next-Gen consoles finding their feet, AAA games would be relatively slim on the ground for the first 12 months of their respective cycles. 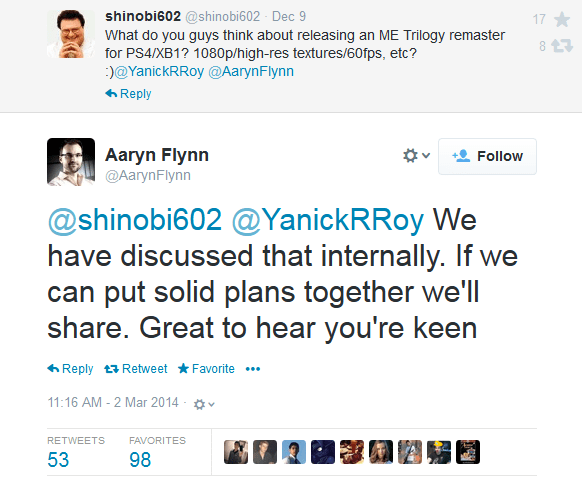 With Naughty Dog finally confirming their remastered version of The Last of Us for Playstation 4, it seems that many other publishers are coming around to the idea of upgrading their titles. Rumours are already gaining momentum about titles like Grand Theft Auto V and Beyond: Two Souls being given a lick of Next Gen paint, amongst a number of others. Bioware have mentioned in the past that it would be a wise idea to keep your old game saves, although nothing has been mentioned as to how they are going to make this work across platforms. I have to say, i’m particularly intrigued by how that’s going to play out, and i’m hopeful they’ll make it work one way or another. That said, Mass Effect 3 did piss off a number of fans with its buggy character import system. In some cases, many had to completely re-craft their character’s image from scratch. I’m happy to throw my cash their way to play though these games again if upgraded and all the DLC is thrown in, but that’s just me – what about you? What are your personal expectations from a Next Gen port before you would consider buying it? Are there any titles you’d buy in a heartbeat, regardless? What are the dream titles you’d like to be playing on Playstation 4 or Xbox One this year? Or are you on the other side of the fence and find the entire notion of releasing upgraded ports annoying? Whatever your views, sound off below and let us know.